Might have put this in the wrong thread, but it's still the most amazing idea EVAR. 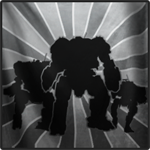 Lots of recent discussion about the Mist Lynx begs the question: "Is the MLX really a terrible 'mech or just an unsung underdog light hero of the Clan?" It's not just about bragging rights - at stake are some Event-Only cockpit items! Global Kill Counter (Faction play and Quickplay): Smash all the kittehs! Global Kill Counter (Faction play and Quickplay): Tryhards unite! 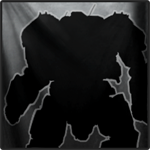 2926* total kills by a MLX // [counter bar] // Success: Decal "Small Death*" // Failure: Decal "Failmech*"
*MLX Arm Standing Item: A lone MLX Left Arm component laying on its side, bruised and battered. *Small Death decal inspired by the Koshi designation (Koshi translates as 'small death') and might include some rad artwork (Mist Lynx is an actual lore-friendly animal and might be jumping out or there might be claw marks or whiskers around the words, etc.) - but it has to look good at a small scale...! Notes: Lasts however long PGI thinks we need to achieve those goals (probably ten days or so to account for vacations and such). The rewards are just suggestions, of course, but let's put all this scuttlebutt to the test, shall we? I am definitely up for further discussion on this topic - feel free to message me - and I have no problem whatsoever challenging other pilots in Lynx-only NGNG Duel Stream! Edited by mistlynx4life, 19 August 2017 - 04:25 PM. I just think it'd be neat to really give the spotlight to all this nonsense about the MLX suddenly being OP and whatnot and have a fun time as well. The numbers and rewards are just easy suggestions but totally amenable - the basic idea is just to have that tally and see how it goes. If this launches after we have that new geometry, I can absolutely see getting little wings or something for the MLXs, lol! If this event doesn't happen... can I at least strongly request the Standing Item of a MLX arm to rest gently on my dashboard, in case I need it to replace the ones people are always shooting off me? Sounds good, does not work. Just because there is no Mist Lynx mechpack... That's PGI for ya. Also mech centered events usually have to purpose to see how that mech performs. Usually short after/with the release, so the nerf bat can be swung quickly. The MLX exists long enough to have some rough numbers...and everyone knows the mech was underperforming. Those new omnipods make it viable. Nothing more. And that's ok.
Meh. Both the forum description and Tina's original post in the pinned thread make no mention of such requirements, so I didn't mind throwing the idea out there. The rewards aren't anything more or less than what to expect from ordinary events and the recent update mentioned that they were streamlining things so that events could happen more frequently with a smaller scope - this is very viable in that context. I hear what you're saying Doc, and you might be right, but I won't give up so easily.